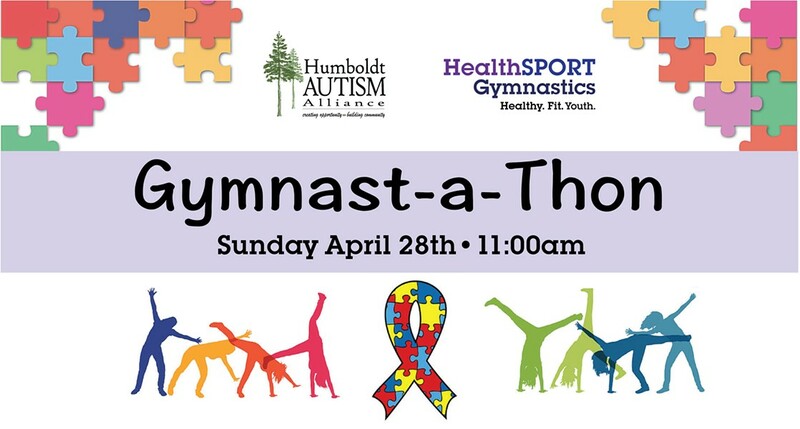 When: Sun., April 28, 10 a.m.-1 p.m.
On April 28th HealthSPORT Gymnastics will hold a Gymnast-a-Thon Fundraiser in support of Humboldt Autism Alliance. Come watch us cartwheel, jump, roll, & step as we work together to advocate for a very important cause. • Date: April 28th • Time: 10:30am - 1:00pm • Location: HealthSPORT Fortuna Gymnastics To pledge a donation or get involved please call (707) 725-9484 or visit HealthSPORT Fortuna.